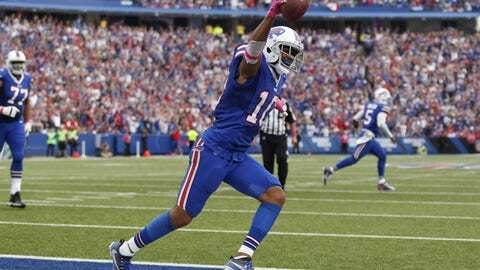 Dallas Cowboys: Robert Woods A Free Agent Fit At Wide Receiver? Wide receiver Terrance Williams seems like he is going to be getting paid this offseason. He has a recognizable name, mostly for some impressive catches on third downs, as well as a solid postseason in 2014. While Williams flashes a lot of potential, he hasn’t been as impactful as the Dallas Cowboys would like. That means there’s pretty much no way they get into a bidding war with anyone over his services. Related Story: Dallas Cowboys: Jaylon Smith a Pass Rushing Weapon? Some may worry what Dallas will do at the second receiving spot, but ESPN NFL reporter Ed Werder was brutally honest in his recent assessment of T-Will. I mean, what has he done? He gets single covered almost all the time and he hasn’t been that highly productive of a player, in my opinion. Like if you look at the Atlanta Falcons he’s not the equivalent of a Mohamed Sanu in my mind. I think you can do as well or better and save yourself a considerable amount of money. As Werder said, there will be options out there that will come much cheaper. One such player could be Robert Woods, who was drafted one round earlier than Williams in the same year. The former USC Trojan spent his first four seasons with the Buffalo Bills before hitting free agency this offseason. Though he hasn’t gotten as much national attention as Williams, Woods has been productive. He caught 203 passes for 2,451 yards and 12 touchdowns in four seasons. For comparison, Williams had 177 receptions for 2,791 yards and 20 touchdowns. Williams knack for the longer receptions and his bigger touchdown numbers explain why his name is more prevalent than Woods. However, Woods has had E.J. Manuel, Kyle Orton and Tyrod Taylor throwing him the ball, whereas Williams had mostly Tony Romo and Dak Prescott. Woods also didn’t have Dez Bryant as his fellow wide receiver or tight end Jason Witten freeing up space in the defense for him to work.